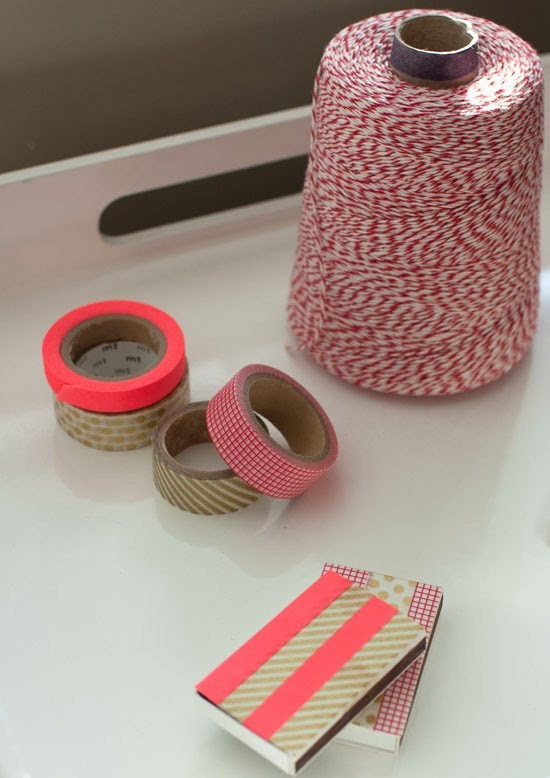 Washi tape and my crafting abilities seem to suit each other perfectly. It doesn't get much easier than this, but I think the results are still pretty cute. 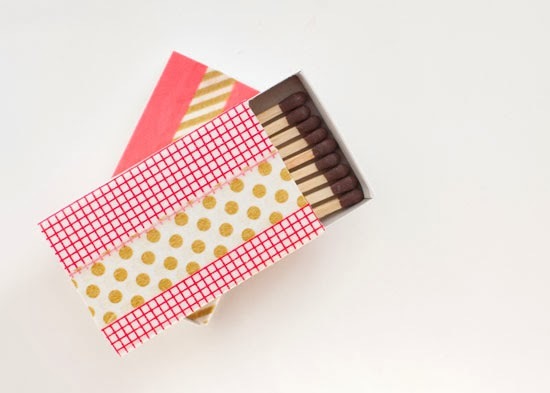 Just take some new or old matchbooks and cover them in washi tape in whatever colors and patterns appeal to you. (Etsy shop PrettyTape has a great selection.) 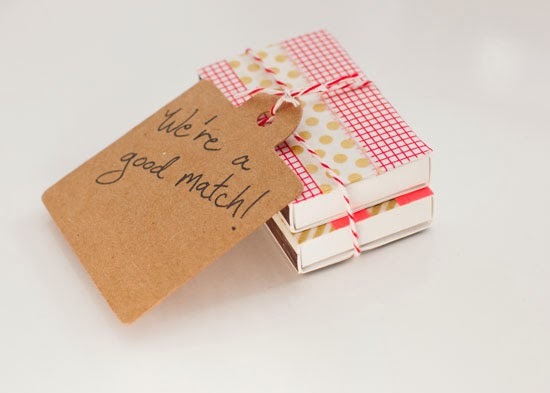 Trim and smooth the edges and attach a little note with a pun that's worthy of your valentine. "Come on, baby, light my fire" is still up for grabs. Light my fire it is- good one I always hear it through Jose's song!